Recently I was listening to a past episode of Caustic Soda Podcast in which the hosts briefly discussed fig wasps. I was intrigued by this discussion, having previously never heard of fig wasps, and so I did a little research. As it turns out, what I am about to share with you here is just the tip of the iceberg. The relationship between figs and fig wasps is a complex topic, to the extent where you could easily spend a lifetime studying this relationship and there would still be more to discover. Ficus is a genus of plants in the family Moraceae that consists of trees, shrubs, and vines. They are commonly referred to as figs, and there are between 755 and 850 described species of them (depending on the source). The majority of fig species are found in tropical regions, however many of them are found in temperate regions as well. 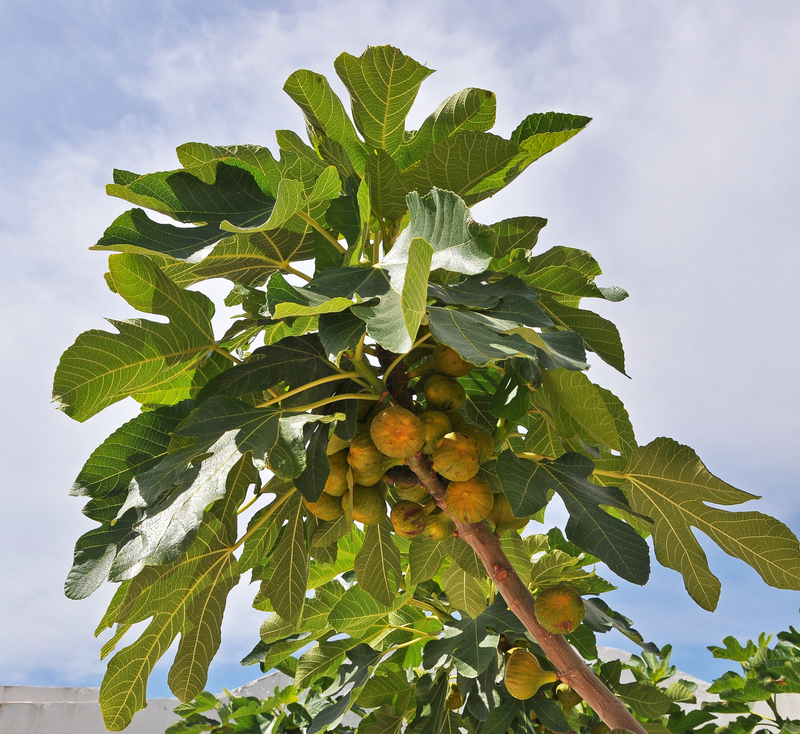 The domesticated fig (Ficus carica), also known as common fig, is widely cultivated throughout the world for its fruit. The fruit of figs, also called a fig, is a multiple fruit because it is formed from a cluster of flowers. A fruit is formed by each flower in the cluster, but they all grow together to form what appears to be a single fruit. Now here is where it starts to get bizarre. The flowers of figs are contained inside a structure called a syconium, which is essentially a modified fleshy stem. The syconium looks like an immature fig. Because they are contained inside syconia, the flowers are not visible from the outside, yet they must be pollinated in order to produce seeds and mature fruits. Fig wasps are tiny, mere millimeters in length, so they are not the same sort of wasps that you’ll find buzzing around you, disrupting your summer picnic. Fig wasps have to be small though, because in order to pollinate fig flowers they must find their way into a fig. Fortunately, there is a small opening at the base of the fig called an ostiole that has been adapted just for them. What follows is a very basic description of the interaction between fig and fig wasp – remember with the incredible diversity of figs and fig wasps, the specifics are sure to be equally diverse. First a female wasp carrying the pollen of a fig from which she has recently emerged discovers a fig that is ready to be pollinated. She finds the ostiole and begins to enter the fig. She is tiny, but so is the opening, and so her wings and antennae are ripped off in the process. No worries though, she won’t be needing them anymore. Inside the fig there are two types of flowers – ones with long styles and others with short styles. The female wasp begins to lay her eggs inside the flowers, however she is not able to lay eggs inside the flowers with the long styles. Instead, these flowers get pollinated by the wasp. After all her eggs are laid, the female wasp dies. The fig wasp larvae develop inside galls in the ovaries of the fig flowers, and they emerge from the galls once they have matured into adults. The adult males mate with the females and then begin the arduous task of chewing through the wall of the fig in order to let the females out. After completing this task, they die. The females then leave the figs, bringing pollen with them, and search for a fig of their own to enter and lay eggs. And the cycle continues. But there is so much more to the story. For example, there are non-pollinating fig wasps that breed inside of figs but do not assist in pollination – freeloaders essentially. And how is the cycle different if the species is monoecious (male and female flowers on the same plant) compared to dioecious (male and female flowers on different plants)? It’s too much to cover here, but visit figweb.org for more information. FigWeb is an excellent resource for learning all about the bizarre and fascinating world of the fig and fig wasp relationship. Also check out the PBS documentary, The Queen of Trees. This is the first of hopefully many posts on plant and insect interactions. Leave a comment and let me know what plant and insect interactions interest you. Invasive species are a major ecological concern, and so considerable effort is spent controlling them, with the ultimate goal (albeit a lofty one in most cases) of eradicating them. The term “invasive species” describes plants, animals, and microorganisms that have been either intentionally or unintentionally introduced into an environment outside of their native range. They are “invasive” because they have established themselves and are causing adverse effects in their non-native habitats. 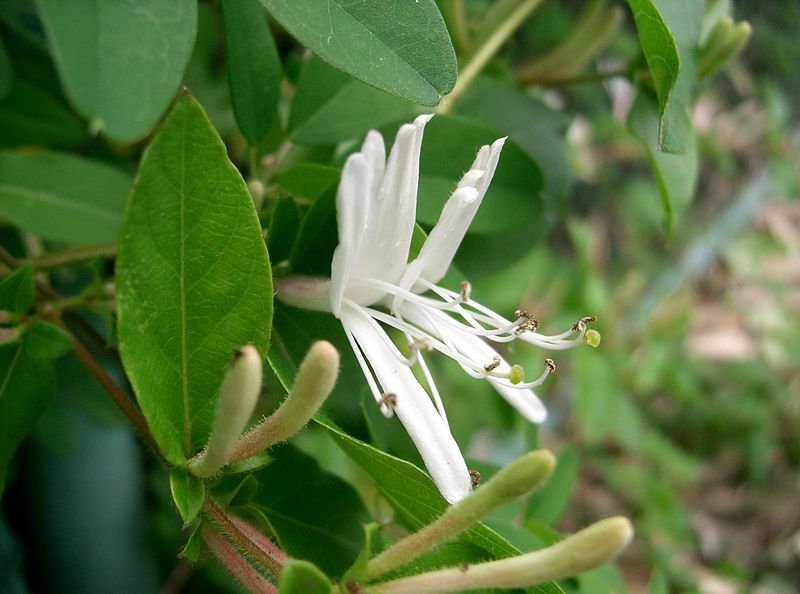 Some introduced species cause no discernible adverse effects and so are not considered invasive. Species that are native to a specific habitat and exhibit adverse effects following a disturbance can also be considered invasive. (White-tailed deer are an example of this in areas where human activity and development have reduced or eliminated their natural predators resulting in considerably larger deer populations than would otherwise be expected.) Defining and describing invasive species is a challenging task, and so it will continue to be a topic of debate among ecologists and conservation biologists for the foreseeable future. The adverse effects of invasive species are also not so straightforward. Typical examples include outcompeting native flora and fauna, disrupting nutrient cycles, shifting the functions of ecosystems, altering fire regimens, and causing genetic pollution. Countless hours of research and observation are required in order to determine the real effects of invaders. The cases are too numerous and the details are too extensive to explore in this post; however, I’m sure that I will cover more aspects of this topic in the future. “If you can’t beat ’em, eat ’em!” And so they provide recipes in order to encourage people to harvest, prepare, and consume the invasive species in their areas. 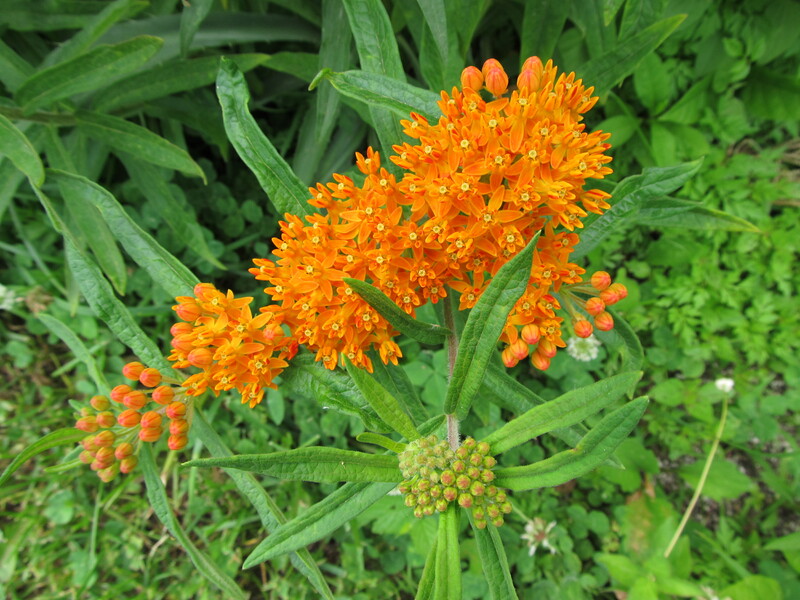 Some of the invasive plant species they recommend people eat are Autumn Olive (Autumn Olive Jam), garlic mustard (Garlic Mustard Ice Cream), Japanese honeysuckle (Honeysuckly Simple Syrup), purslane (Purslane Relish), and Canada goldenrod (Strawberry-Goldenrod Pesto). And that’s just a sampling. One might ask if we are encouraged to eat invasive species and ultimately find them palatable, won’t our demand result in the increased production of these species? The Invasivores have considered this, and that is why their ultimate goal is raising awareness about the deleterious effects of invasive species. In the end, we should expect to see our native habitats restored. Our craving for Burdock Chips on the other hand will have to be satisfied by some other means. Declining populations of baobab trees have been a concern for more than a decade now. That concern has been amplified with the release of a recent study that shows that two baobab tree species endemic to Madagascar risk losing the majority of their available habitat due to climate change and human development in the coming decades. Baobab trees are spectacular sights. Unique in appearance, they can grow up to about 100 feet tall with trunk diameters as wide as 36 feet and can live for hundreds (possibly thousands) of years. As the trees age, they develop hollow trunks used for storing water (as much as 26,000 gallons!) to help them survive long periods of drought. The fruits of baobab trees are coconut-sized and edible and are said to taste like sherbet. The leaves of at least one species are eaten as a vegetable, and the seeds of some species are used to make vegetable oil. 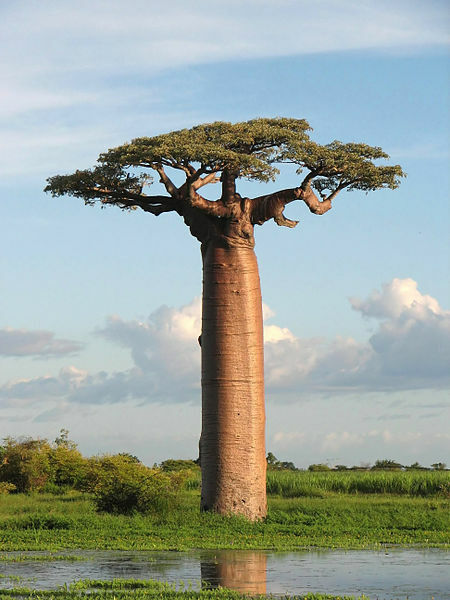 Various other products, including fibers, dyes, and fuel are also derived from baobab trees. There are nine species of baobab trees (Adansonia spp.). Eight are native to Africa and one is native to Australia. Two of the African species are also found on the Arabian Peninsula, and six of the African species are found only on Madagascar. Three of the Madagascan species (A. grandidieri, A. perrieri, and A. suarezensis) are listed as endangered on the IUCN Red List. Currently, A. perrieri has the lowest population of the three species, with only 99 observed trees. It is estimated that by 2080, its range will be reduced to 30% of what it currently is, further threatening its survival. A. suarezensis has a considerably larger population (15,000 trees) but a much smaller distribution area (1,200 square kilometers). By 2050, this area is estimated to be reduced to only 17 square kilometers, practically guaranteeing its eventual extinction. On the bright side, A. grandidieri has a population of about one million trees and an extensive range that should remain largely undisturbed in the coming decades. An interesting component to this story is how giant tortoises fit in. The fruits and seeds of baobab trees are relatively large, and so their dispersal is best carried out by animals. Seeds that fall too close to the parent trees have little chance of survival since they will be shaded out and will have to compete with large, adjacent trees. Animals that eat the fruits of the baobab trees help to disperse the seeds by defecating them in areas away from large trees where the seedlings will have a greater chance of survival. Two species of giant tortoises that were once native to Madagascar but have now been extinct for hundreds of years were likely primary dispersers of baobab tree seeds. A recent study used a species of giant tortoise not native to Madagascar (the Aldabra giant tortoise) to test this hypothesis. The tortoise readily consume the fruit of the baobab tree. The seeds remain in the tortoise’s digestive system for up to 23 days, giving the tortoise plenty of time to move to an area suitable for seed germination. Given these findings, biologists are currently working to introduce Aldabra giant tortoises to Madagascar to help save the baobab trees. Climate change, loss of habitat due to human development, and loss of seed dispersers due to extinction threaten the survival of some baobab tree species, but by recognizing this threat, biologists can work towards preventing their eventual extinction. As we gain a better understanding and appreciation for the need for biodiversity on our planet, we will resolve to take greater steps to protect it. To learn more about baobab trees facing extinction and giant tortoises as seed dispersers, visit the Scientific American blog, Extinction Countdown, here and here.